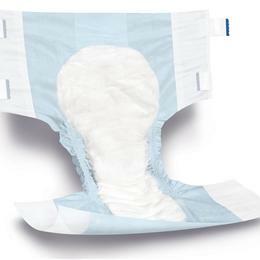 BRIEF CLOTH LIKE O/C LG 48-58"
Ultracare Brief For Heavy Absorbency. Size Large, (48-58 Inches), 24/Bag, 72/Case. Triple Absorbent Core Offers Several Benefits Including: Treated Fibers Which Neutralize Ph Of Urine, Dry Acquisition Lining Which Prevents Moisture From Resurfacing, And A High Performance Core Which Keeps Moisture Away From The Skin. Packaging Is In Clear Bag.